What Invite Design Do You Find Suitable For Your Baby Shower Theme? 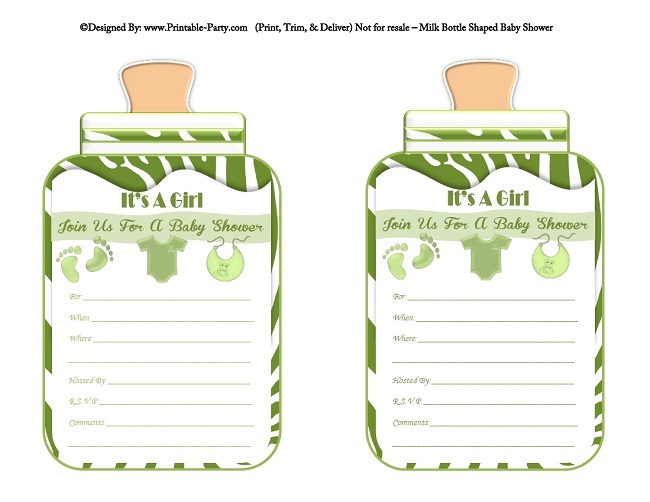 Girl Printable Bottle Baby Shower Invitations in exclusively fabulous styles. 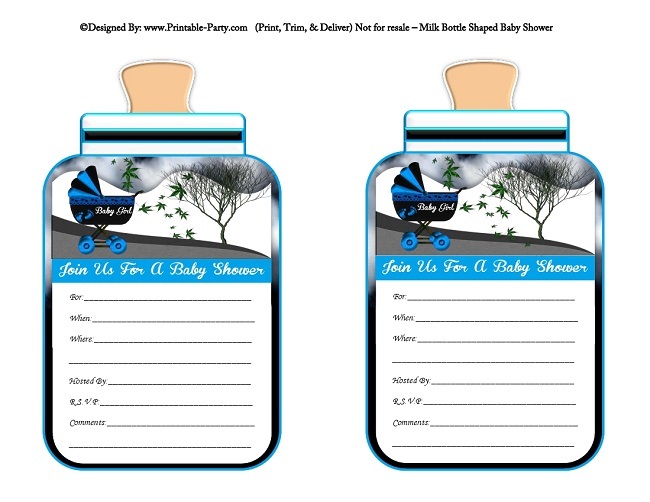 These sleek printable bottle shaped invitations are trendy & awesome to use when inviting your future celebrators to your baby shower. 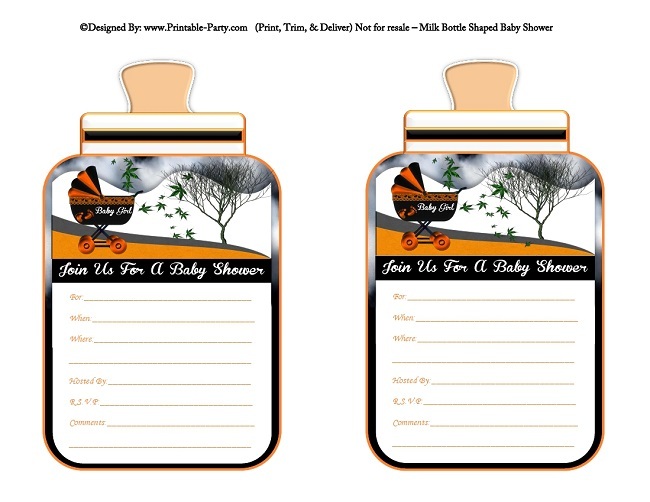 Each one of our bottle baby shower invites are hand designed & one of a kind. You won't fine these invites anywhere else. These invites come in multiple themes, patterns, & colors that are snazzy. Printable invites can be trimmed out nicely with a sharp pair of scissors. You can hand write your baby shower party details into the designated areas or add them digitally with Free Adobe PDF Reader. All of our printables are made to be printed out on 8.5x 11 inch paper. We think thick card stock paper looks the best when printing. We usually print our orders on 110lb card stock paper. You can use matte photo paper too. Print as many as you need to fill your guest list. Learn how to add digital text onto your purchased digital invites easy by viewing our List of FAQ. If you have any questions you can Contact Us at anytime. 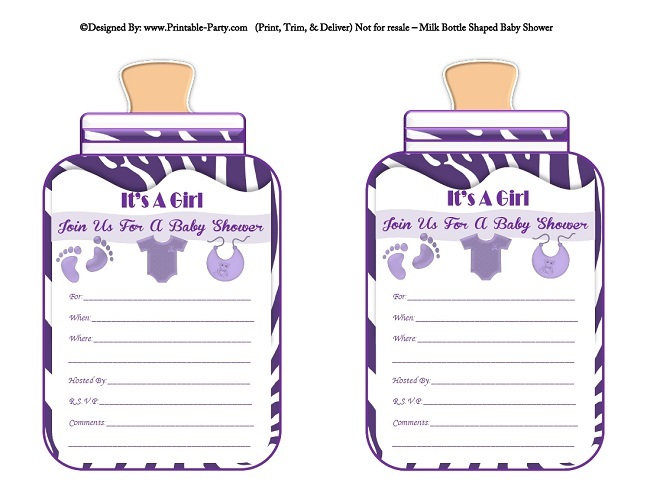 Download Our Free Sample Baby Shower Bottle Invite Downloadable Orders Become Available Instantly After purchasing & Orders Are Also Sent Straight To Your Valid Email Address. You'll be able to print all of the pages in your purchased printable files over & over again or year after year. Simply download your order & save to keep the files safe on your computer or digital storage device.